Just a quickie to let you know what we do. there will be pics of all the stuff and more stuff added as I have time to update the page. Adds T Handle Hi speed adjusters to carbs. Lo speed screws have thumbwheels pressed on for easy adjusting. Remove choke plates and install primer fittings. Taper bore carbs to match airbox base. Carbs are synchronized. Acc. pump can be disabled if needed. jetting for application or altitude. Oil fittings removed or plugged as needed. Yamaha CDI box modification $50 for 650/701/760 cdis, the stock rev limiter is bypassed. 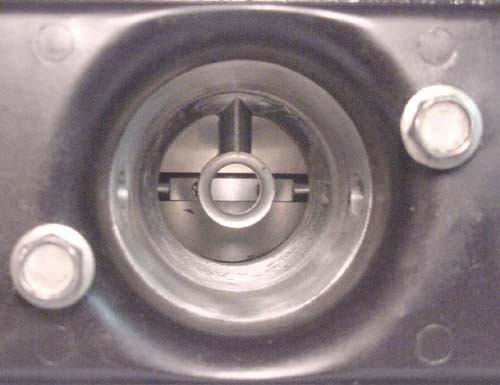 Stock Bore - Carb opening is smaller than the airbox base causing turbulence. Choke plate is also a restriction. 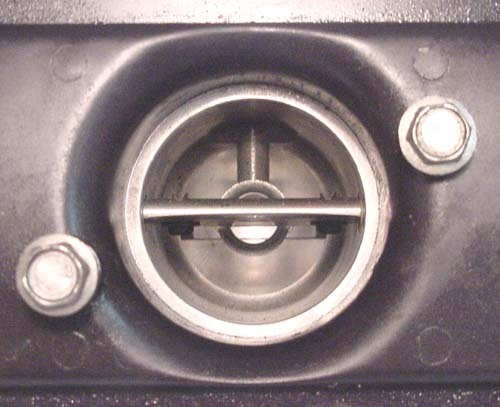 More Bore - Choke Plates are removed and primer plugs are installed. 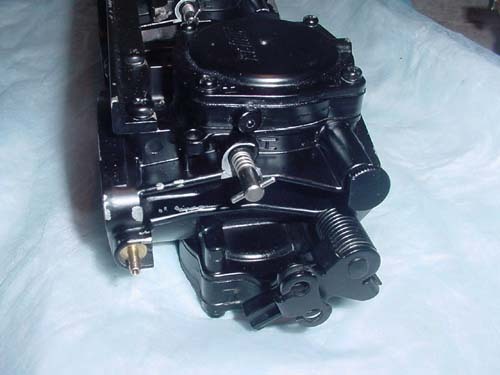 Carb throat is taper bored to match the airbox base and polished. 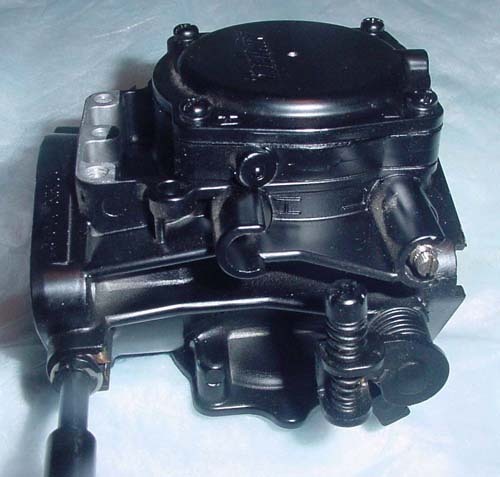 Stock Carb - no hi speed adjusters, low speeds require a screwdriver to adjust, the middle carb is almost impossible to get to.